Taxation is the leading weekly magazine for tax professionals focused clearly on issues of concern to the personal and SME markets, Taxation is an indispensable source of information and comment. News is not just reported but analysed and commented on. The weekly Comment argues for changes to the law and to HMRC practice. 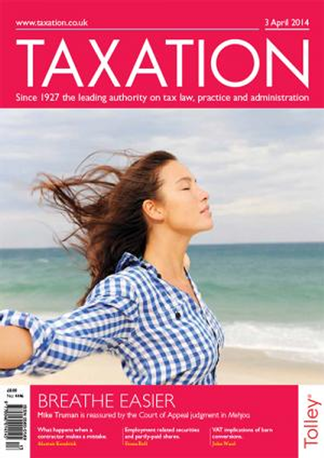 Be the first person to tell us what you think about Taxation Magazine and you'll save £2.50 on your next purchase!